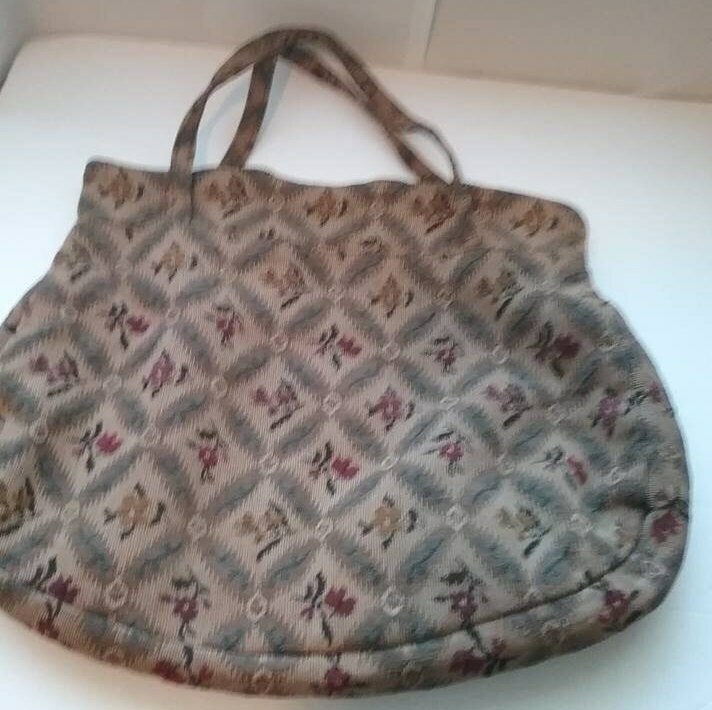 Vintage tapestry purse. 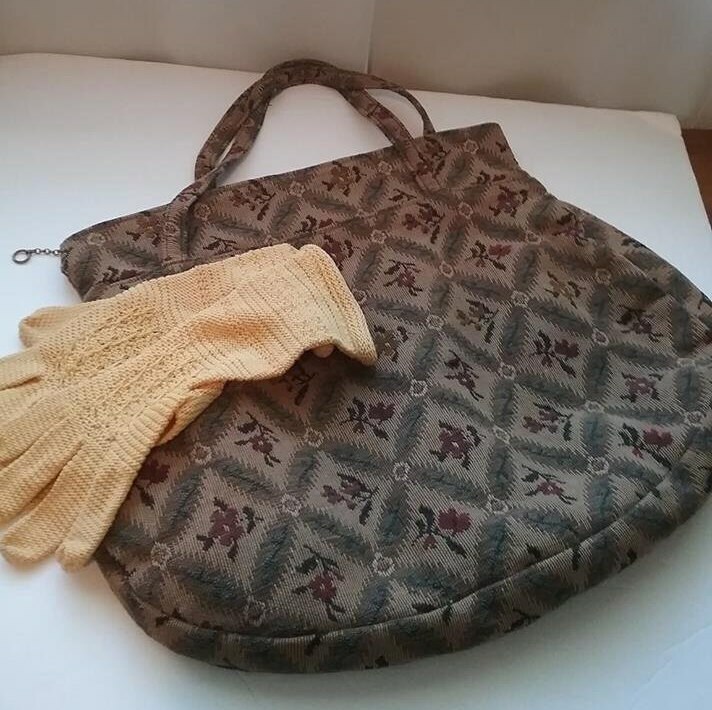 Victorian needlepoint/tapestry handbag and gloves. 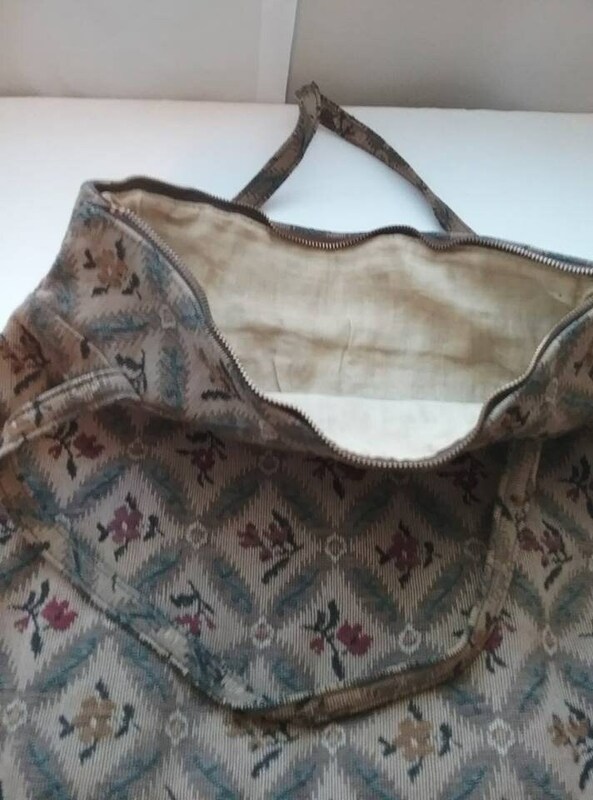 Purse is fully lined with cotton liner, and has metal zipper closure. 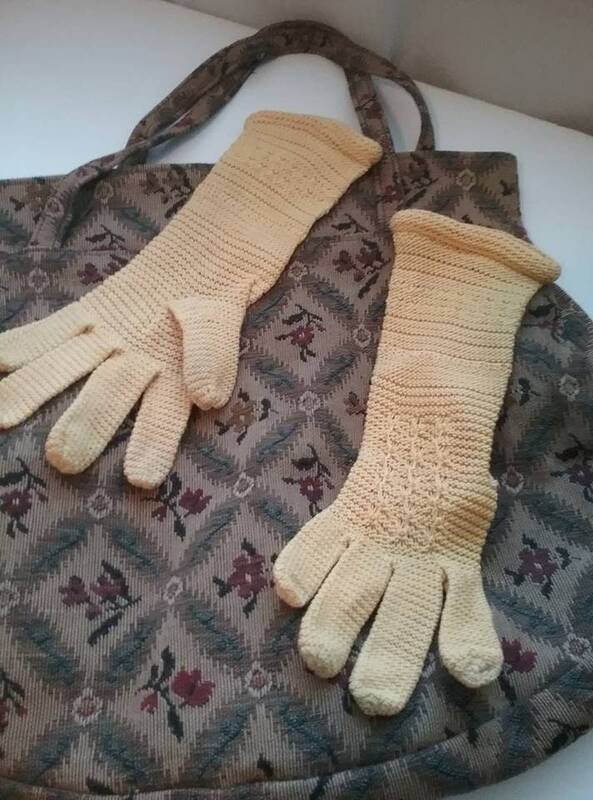 The lovely yellow cotton gloves are a size 6 and beautifully crocheted. 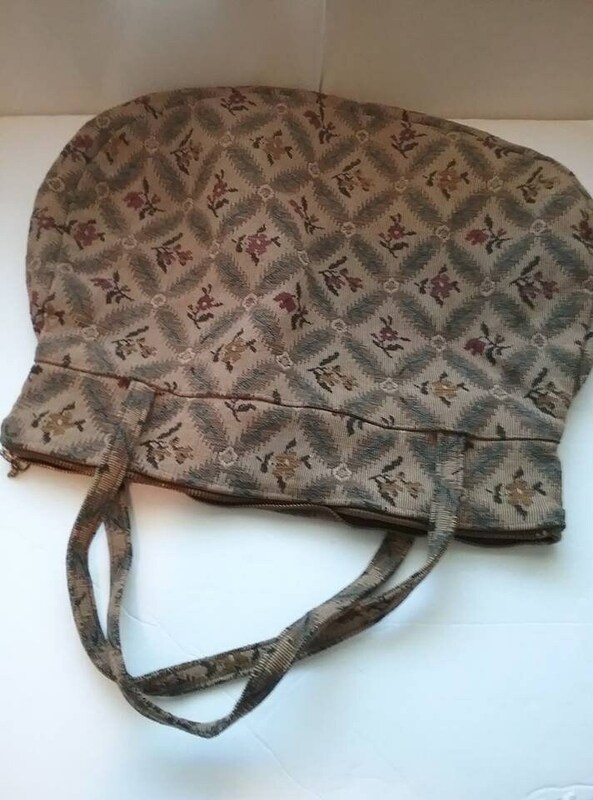 The purse measures approx 12.5 x 15 x 18" including handle length. This set came from a private New York collection of Victorian/Edwardian Era items. 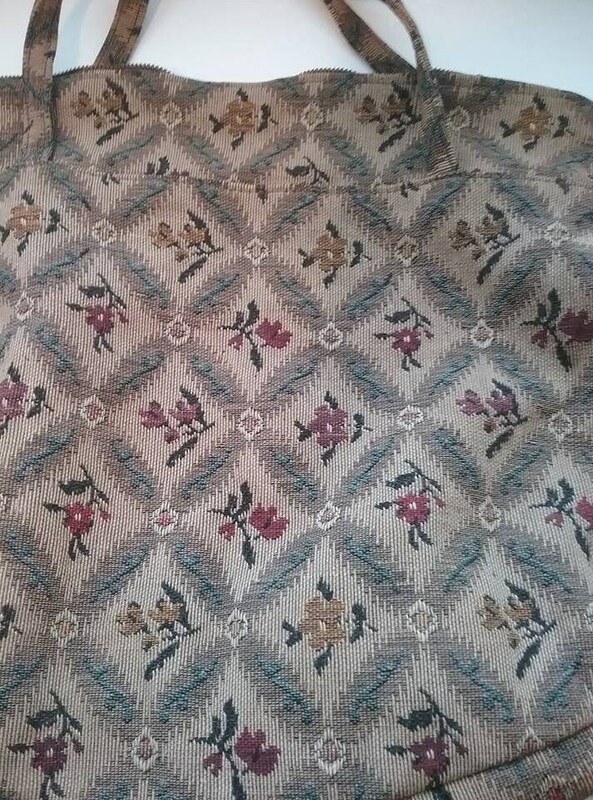 A rare find. 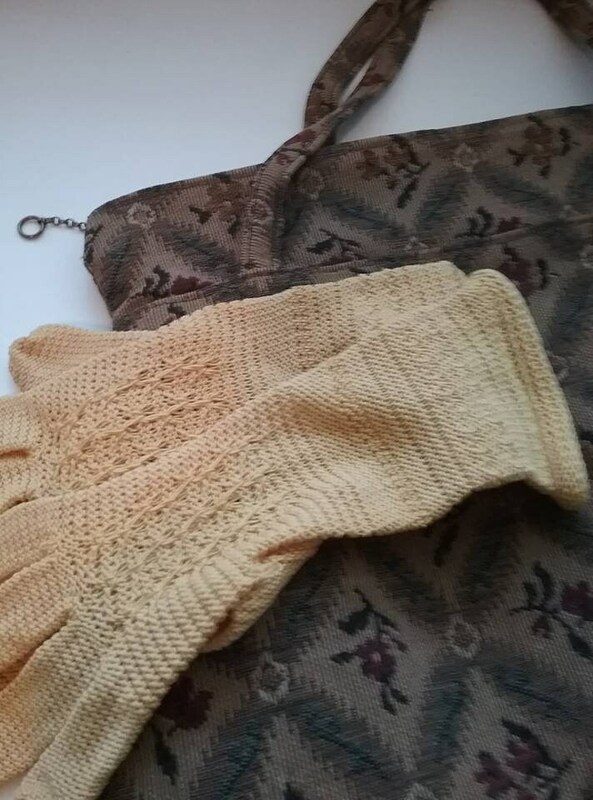 Both gloves and handbag are in very good to excellent vintage condition.